My name is Julie and my Vietnamese full name is Pham Dzuy Ly. I graduated from Vietnam National Academic of Music for 12 years. 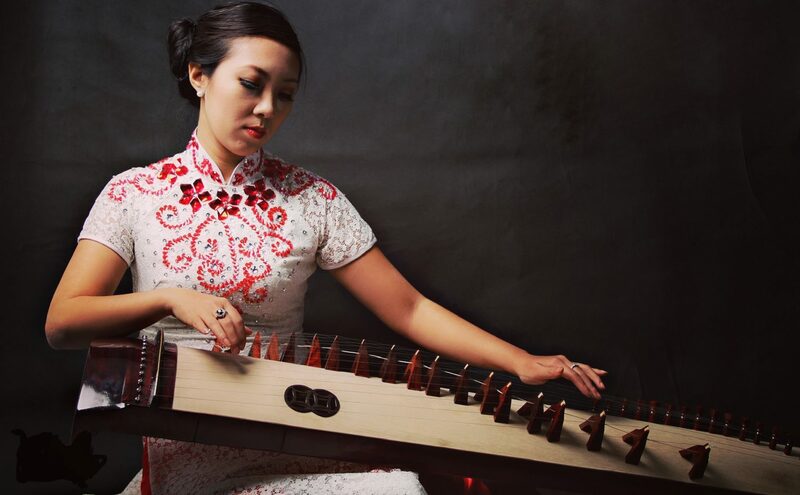 I have been performance Dan Tranh, a Vietnamese traditional instrument. Dan Tranh is a plucked zither of Vietnam. It has a wooden body and steel strings, each of which is supported by a bridge in the shape of an inverted “V.” It can be used either as a solo instrument or as one of many to accompany singer/s. The originally had 16 strings in which four strings represent for four seasons and twelve strings for twelve months a year but it was renovated in 1918. Now the 19 strung Dan Tranh has gained massive popularity and becomes the most preferred form of the instrument used throughout Vietnam. been welcomed. I hope I can share more my music so I do this website and hope you will enjoy it. Thanks mommy. I love you. Hey Ly, congratulations for the website 🙂 I wish you all the best. Hi Ly, congratulations for the website 🙂 , I wish you all the best. Glad to see a young new generation like you preserve this traditional art. Vietnam should be proud of you and they should treasure you. Any nation that lost its culture is like a body without soul. Keep it up madam Julie.